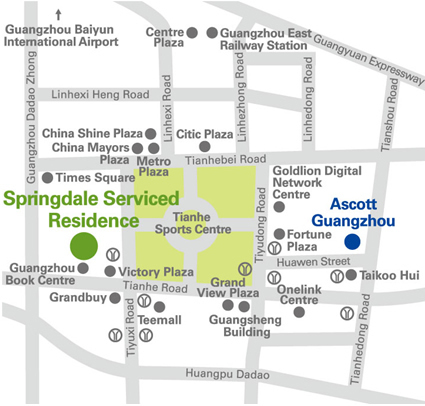 Springdale Serviced Residence is located in the heart of Guangzhou city—Tianhe District, putting you in close proximity to multinational companies, commercial offices and financial institutions. Nearby shopping malls like Teemall and Grand View Plaza give you quick access to a multitude of international fashion, dining and entertainment facilities. The Tiyuxi Road MRT Station is a mere 5 minutes walk and Guangzhou East Railway Station is within 10 minutes drive away. 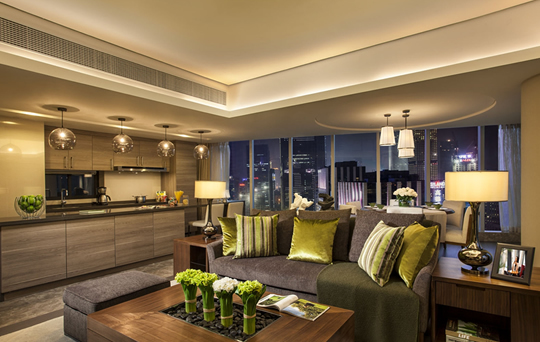 Each of the 175 serviced residences is furnished with a modern and comfortable living and dining area, broadband internet access, satellite television access and a fully-equipped kitchen. We offer you a wide range of apartments sizes from studio to three-bedroom apartments, to suit your lifestyle and budget. Our 24-hour on-site security personnel and closed-circuit TV security system ensure a safe living environment for you and your family. 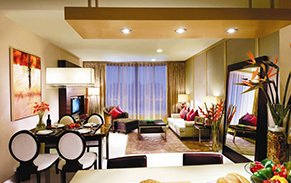 Springdale Serviced Residence is ideal for utives and their families looking for a balanced and enriching lifestyle. Our recreational residents’ programmes enable you to meet people and network within your community. Our fully-equipped gymnasium, sauna rooms and children's playroom are conveniently located on-site for you and your family to relax and recharge. Our helpful, caring staff and personalized attention is the core of our signature Heartware service, which is our commitment to tailor each residence to your individual needs. Pearl River is a beautiful business card for Guangzhou. 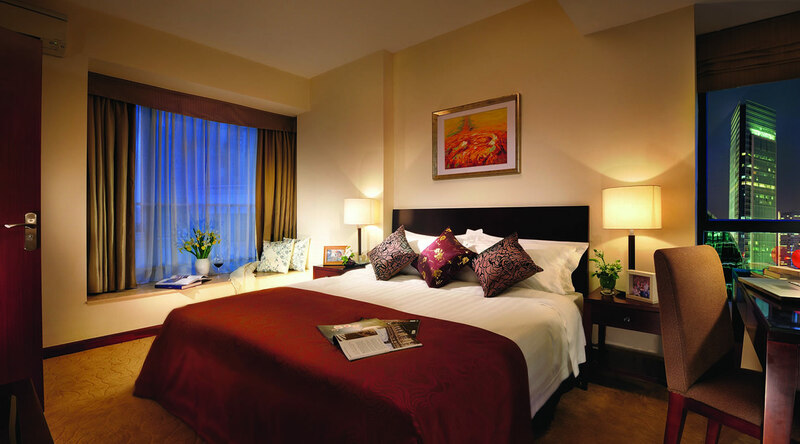 The Pearl River has witnessed the history of Guangzhou for two thousand years. When the night falls, the Pearl River is decorated with countless neon lights on the buildings along its banks, making it gorgeous and lustrous. 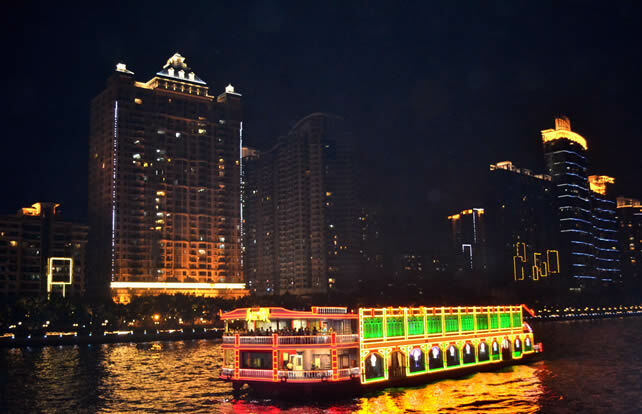 On 12th May, we invited long stay guests to Pearl River Night Cruise. During the cruise, we introduced the landmark buildings, such as Guangzhou Opera House, Haixinsha. While visiting the Pearl River and enjoy the beautiful scenery, we created a Wechat group for guests to take photos and share in the group. 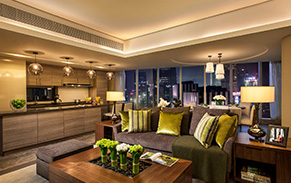 Guests were happy to show their beautiful photos and had a wonderful memory of Guangzhou. Bao Mo Garden, built at the end of the Qing Dynasty, is a park of garden arts with the integration of the cultures from Qing dynasty, architectural characteristics of ancient Canton and landscape art of Lingnan. A local tour to Bao Mo Garden was conducted for all the long-stay residents on 8 July which helps residents explore the traditional culture and experience hidden gem in Canton. There was much to see at Bao Mo Garden, making it a worthwhile attraction to visit. 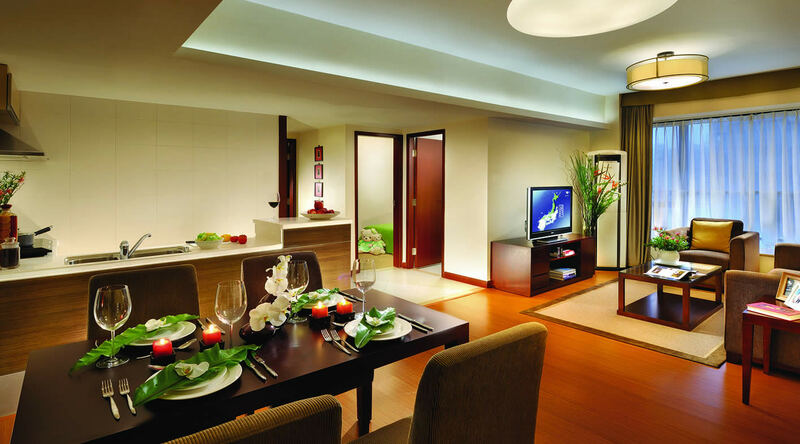 Residents were attracted by the beautiful scenery which surprised them with the rich cultural background of Canton. On each year’s Earth Hour day, we will do something more meaningful than turning off the lights. And this year, Springdale Serviced Residence Guangzhou organized series activities to show our effort of environment protecting. Firstly, we provided the seed and soil to encouraged all residents to join and design their own flower pot from waste materials. Secondly, we re-designed an unused TV cabinet into a “free little library” and showed in the lobby. 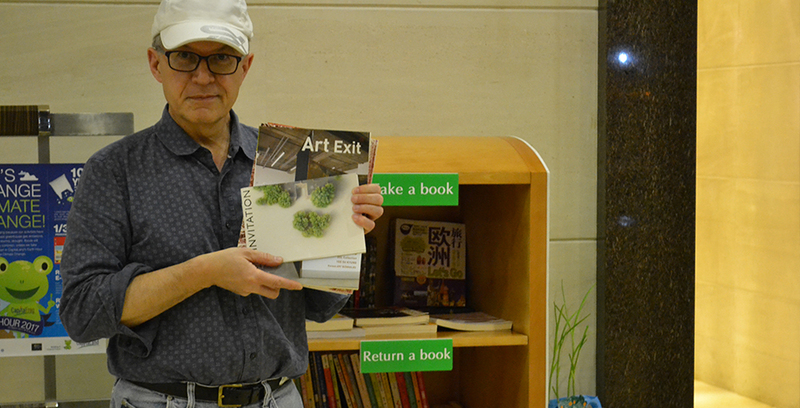 Residents left their old books here, and took another book shared by others. Go green and make everyday EARTH DAY! 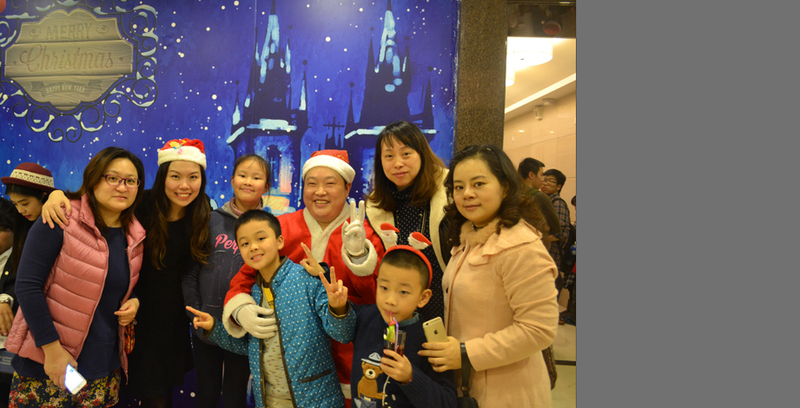 A chic and joyful Christmas party was held for the all in-house residents on Christmas Eve. The party was featuring with the live band and joyous Christmas Choir performance, dynamic flash dance and lucky draw. Guests enjoyed the finest festive delicacies and drinks while indulging in Christmas melodies. When the clock stuck 12 at night, staff dressed in Santa Claus outfit set out to hang the gift on the door. Those met with Santa Claus at this time could be awarded with a special surprise. 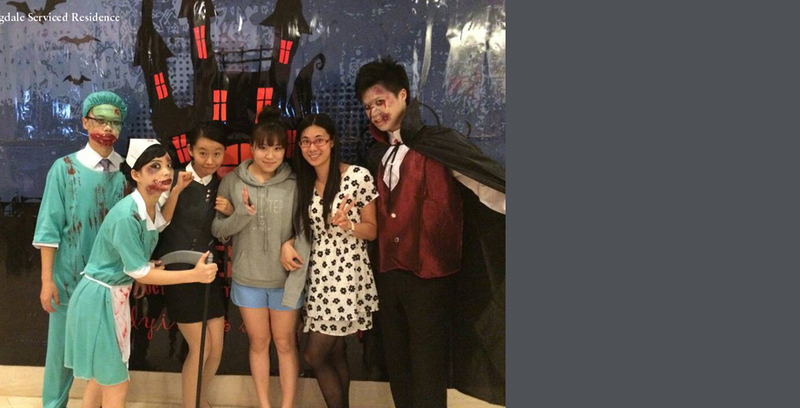 Springdale Service Residence Guangzhou has hosted a Fun-filled Halloween Party for all in-house residents. At that spooky night, staff dressed in the ghost costume wondered around in the lobby to hunt for their targets. Resident chosen by the “Ghost” was required to make a face so as to survive. A big backdrop was set up in the lobby for the funny Halloween Snap. Residents were also invited to take part to strike any shot they preferred. The winner who has the best shot was awarded a special gift. 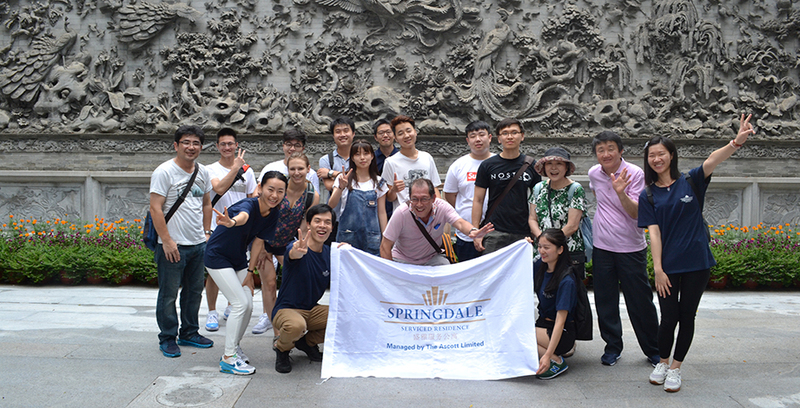 Springdale Service Residence Guangzhou (Springdale) has organized a Happy Family Outing for all in-house residents in Maodegong Farm. 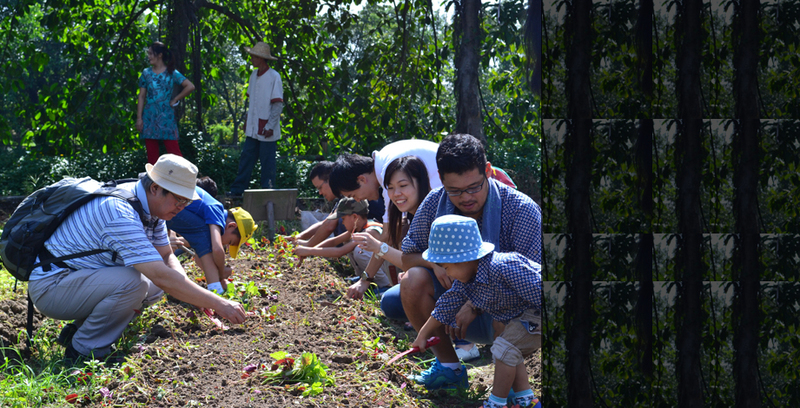 Around 20 residents ravished in the enjoyment of precious family time with kids while planting vegetables in the field, catching fish in the wading pool and making pottery. 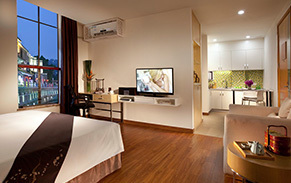 Springdale has been committed to providing the guests with a healthy and balanced living. 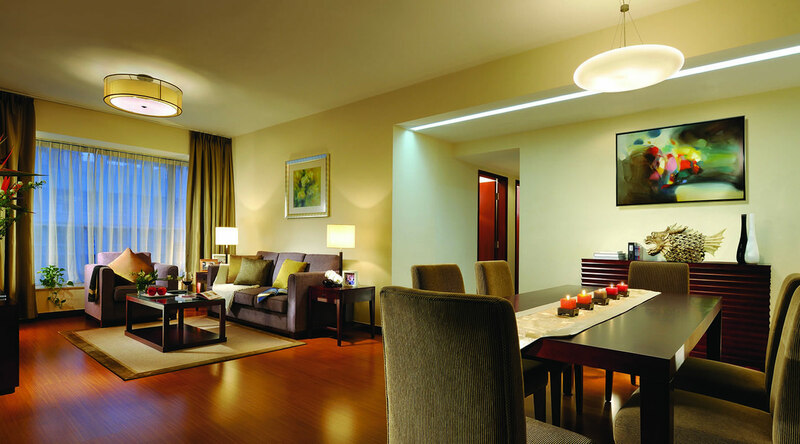 With this outing, our residents could take a heathy respite in the green oasis from the city’s hustle and bustle.